3Gstore.com Blog: The Dreaded Adware! 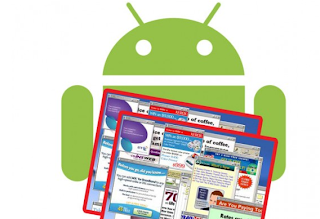 I’m usually the app Queen, however after reading about Adware I will think twice about downloading a new app! Now it makes sense why my Android phone battery is dead by the afternoon, when I’m barely using it. I never knew that, Microsoft said that 75 percent of battery drain is due to mobile ads and push notifications. My favorite along with many others is Words with Friends, before baby I played it a lot and since then I play it maybe once a week. I noticed last night there are more ads and even videos. So annoying, right? Lookout Mobile is a security firm and they said about five percent of Android apps contain what is called “aggressive ad network”—a bothersome mobile ad network that is between valid software and actual malware. These networks are collecting data, installing bookmarks, and spamming your Notify Bar. Scary thing is sometimes this Adware can turn into spyware, which is malware (malicious software) installed on computers/phones that collects information about users without their knowledge. Spyware is usually hidden from the user and can be difficult to detect. There are many lawsuits out there with apps and malware. On July 12th the White House is having its first Privacy Bill of Rights roundtable with mobile apps. They will discuss ways they can "reach agreement on a code of conduct" for how apps handle privacy issues. Time will tell if they get stricter. Until that happens here are a few apps that will scan and identify the mobile ad networks currently on your phone: Lookout Ad Network Detector, TrustGo Antivirus and Mobile Security.